CHENNAI, Tamil Nadu, India, May 14, 2014 (ENS) – Three employees at the Kudankulam Nuclear Power Plant and three contract workers were injured today after hot water spilled from a valve during maintenance work at the new and controversial facility in the southern state of Tamil Nadu. No radiation leak was reported. The government-run Nuclear Power Corporation of India Limited, NPCIL, dismissed reports that a blast or steam pipe leak had occurred at the plant, saying there was only “an incident of hot water spillage” in which six persons were injured. “There was no accident like steam pipe break or blast happened at KKNPP today as has been reported by some sections of the press and media,” NPCIL said in a statement. KKNPP officials said that operations in the plant’s first unit had been shut down on May 12 for mandatory tests before increasing the generation to 1,000 MWe, the maximum capacity. The Russian-built power plant reactor reached 900 MWe several days ago. The first of the twin VVER-1000 reactors achieved criticality in July 2013 and was connected to the power grid in October. Today, the workers opened a valve fitted to the pipes carrying hot water as part of the ongoing maintenance during the shutdown of the first reactor, according to the KKNPP sources. Sundar blamed the workers for not taking mandatory precautionary measures while opening the valve. KKNPP Unit 1 was restarted again today and is operating at a low power level. Abut 60 public representatives from a nearby village visited the KKNPP site today as part of a public awareness program, the “Economic Times of India” reported. But an anti-nuclear group opposed to the project claimed today’s incident vindicates its view that sub-standard equipment was used in the Indo-Russian joint venture. S.P. Udhayakumar of the People’s Movement Against Nuclear Energy, also an AAP candidate in the April 24 Lok Sabha elections, said he will ask that the central and state governments investigate the incident. Udhayakumar, who lives in a village around 30km (18 miles) from the plant site, led 1,000 days of protest against KKNPP, during which demonstrators held hunger strikes, rallies, public meetings, seminars and conferences, and burned models of nuclear power plants. He will file a review petition in the high court against its May 8 ruling that there was “no laxity” on the part of authorities. 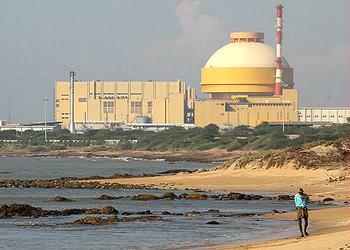 Two 1 gigawatt reactors are being constructed at Kudankulam by NPCIL and Russia’s Atmostroyexport. Russia supplied the designs, drawings and all the equipment for the two identical water-cooled, water-moderated reactors, only one of which has been built to date. This was the first time that the NPCIL has dealt with light water reactor technology. 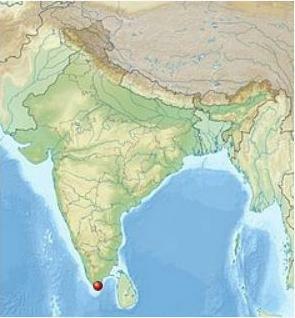 KKNPP Unit 1 is the twenty-first nuclear power reactor in India and the largest power generation unit in the country.